Step right up, step right up! No event or concert is complete without customized tickets. Don’t go anywhere else for the printed tickets your next event needs. It’d be our pleasure to create customized tickets for your event and mail them to you wherever you are. 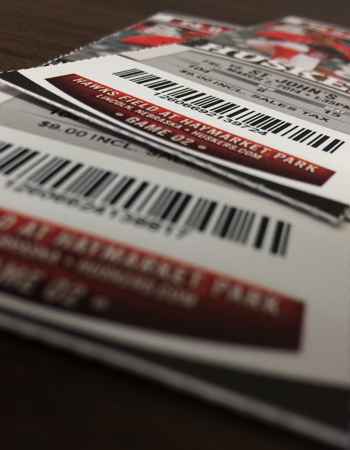 If you need event tickets, raffle tickets, or custom tickets, we’ve got you covered.